This month I was paired with the very awesome Rosemary down in Virginia. Unfortunately Rosemary doesn’t have a blog to share, but I’ll be sending her lots of love via Twitter! I said chocolate and Rosemary ran with it, collecting all of my favorites! She admitted much of the box came from Trader Joe’s. Not exactly local, but a secret favorite spot of my own. I would never go there for produce (maybe it’s just the NYC stores, but everything always looks so dull and squishy) but for shelf stable items, chocolate and coffee it’s one of my favorite places to stock up at. 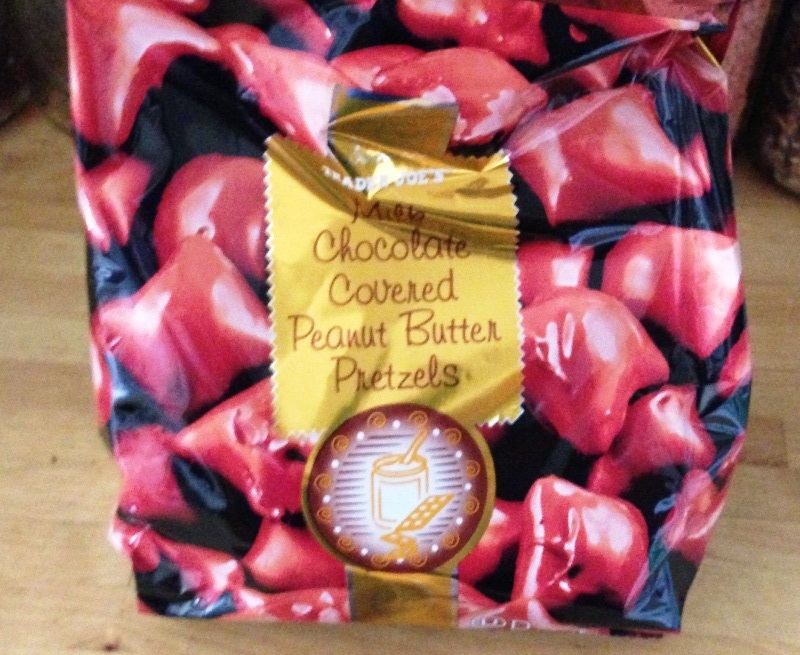 Chocolate covered pretzel bites anyone? 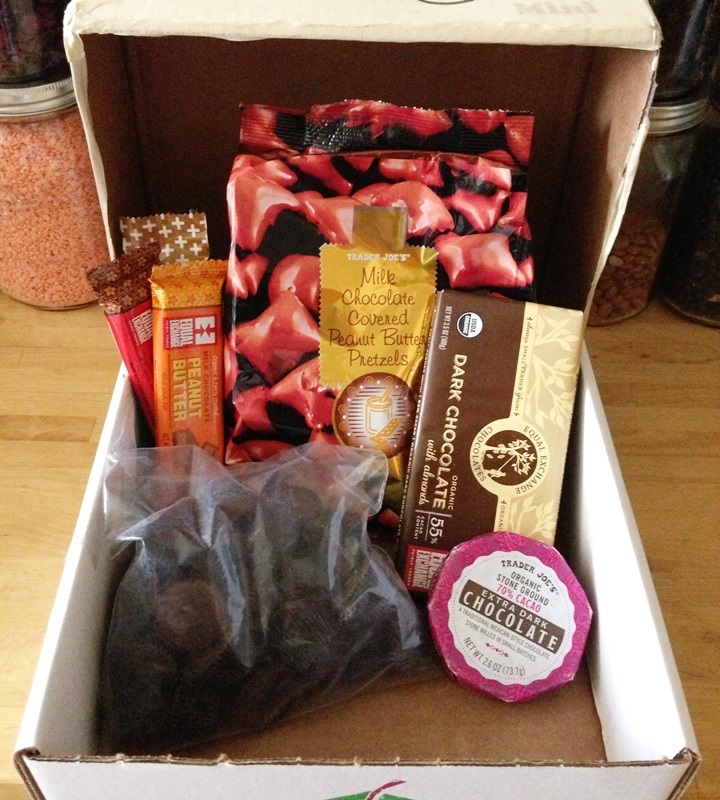 My box was filled with chocolate covered pretzels, chocolate peanut butter cups, chocolate bars… My absolute favorite was the Mexican chocolate rounds. I haven’t used them yet and didn’t even know Trader Joe’s carried it. But what a hidden gem! This stuff is awesome for cooking, like in mole sauces and probably half the price of the fancy Whole Foods stuff I thought I was confined to. Seriously…highlight of the whole package! If you’re interested in joining, please CLICK HERE to fill out the participation form and read the terms and conditions. You must submit your information by May 4th as pairings will be emailed on May 5th! Next postAwards from the People that Count! MMMmmm…. chocolate. I start in May, can’t wait! 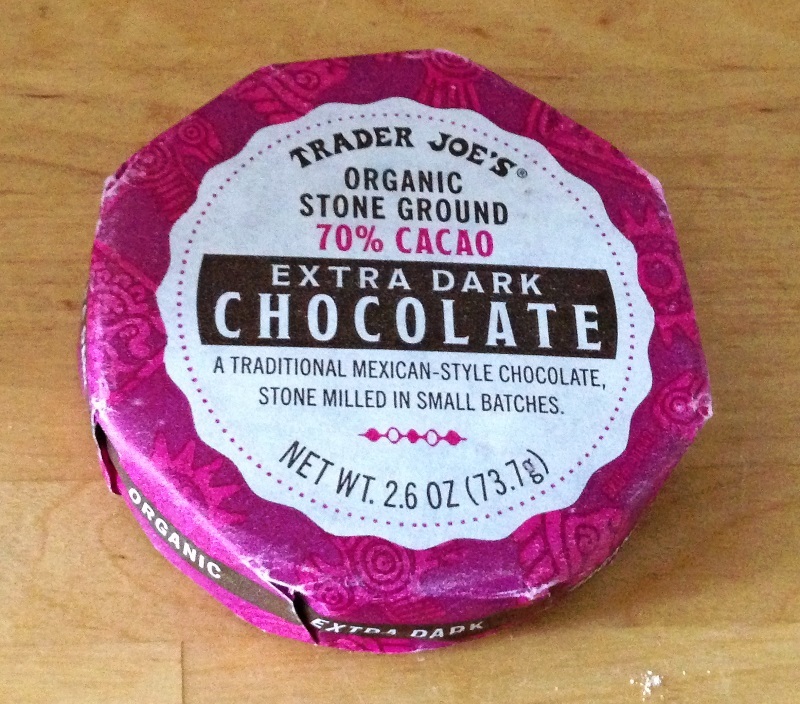 I heard a very plausible rumor that TJ’s Mexican chocolate rounds are made by Taza, which is probably the fancy brand you’re buying at Whole Foods. I bought both and although I was comparing two different flavors, they seemed otherwise the same. TJ’s is much less expensive though! TJ’s chocolate., You can’t go wrong with that! Agreed! Haha, although with pretty much any chocolate you can’t go too wrong. Chocolate! Yum! Looks like you got a great box!